Stealthily advancing, the globalists and socialists at the United Nations, and in the United States itself, are trying to dilute our national sovereignty, undermine our democratic values, and mandate massive transfers of our wealth and technology to third world countries. They want to create a "global governance" where binding and critical decisions are made by the UN and international commissions, instead of by our elected officials. They'll attack anyone who tries to stop them. 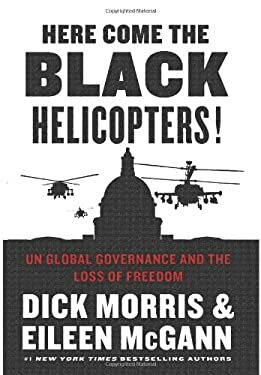 Testifying before the Senate Foreign Relations Committee in May 2012, Hillary Clinton mocked those fighting for American sovereignty as "the black helicopter crowd," belittling those who value freedom and US sovereignty. Ironically, Clinton's sarcastic putdown comes strikingly close to the truth. They call it "global governance." We call it the end of freedom. The homogenization of America. The day when the virtual black helicopters land.